Jessica Higdon shares valuable tips and insights on how she harnessed the power of social media to build a 6 figure income using just Facebook alone. Also powerful questions that are designed to open up your prospects. In the famous book, Think and Grow Rich by Napoleon Hill, it says that for every successful man there is always a strong woman behind him. And nothing can be more true. 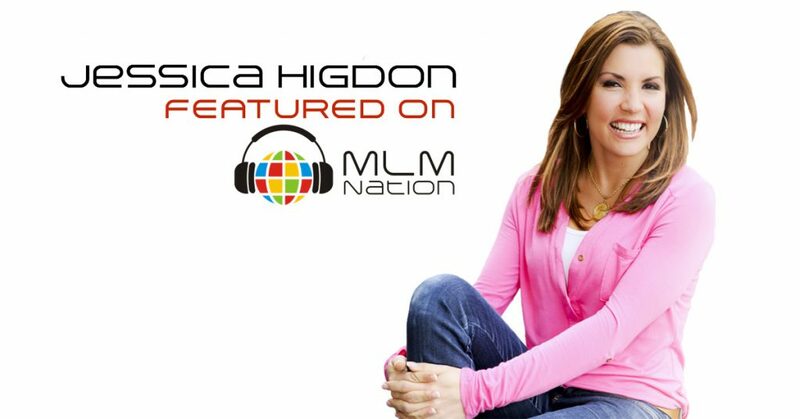 Most of you know her husband, Ray Higdon, who’s a top MLM trainer, leader and was featured on MLM Nation in episode 3 and one all time most downloaded podcast episodes. And today, we get to hear from his lovely and talented wife Jessica Higdon! Jessica is not just the wife of Ray Higdon though… she also built a 6 figure business within 18 months just from Facebook prospecting alone. She’s a real social media expert. Asides from being a mom, Jessica teaches other MLM distributors how to be social media recruiting machines.